DSD is a program that calculates diffusion state distances between nodes in a graph. 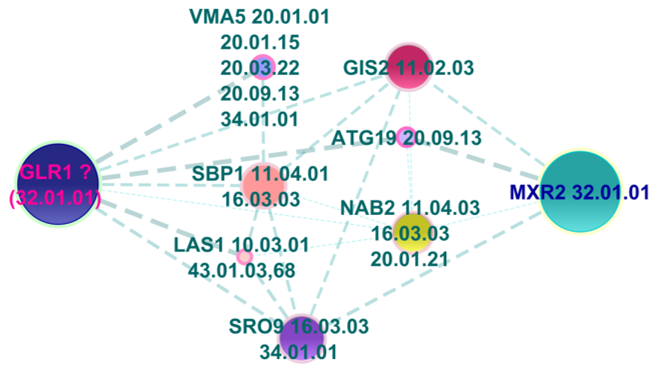 It makes use of global topologies via random walks and captures proximity between nodes in terms of node properties such as protein functions among protein-protein interaction graph. M. Cao, C. M. Pietras, X. Feng, K. J. Doroschak, T. Schaffner, J. Park, H. Zhang, L. J. Cowen and B. Hescott, New directions for diffusion-based network prediction of protein function: incorporating pathways with confidence Bioinformatics, Volume 30, ISMB 2014 Proceedings, i219-i227, 2014.